Want to study, settle or do Settle in Abroad? Hire the services of a qualified expert? Hire unqualified persons and pay lower fees? File the case yourself and save money? Don’t play with your career, hire the services of immigration law qualified experts! You are doing this work for the first time, but the consultant has filled a number of cases and can handle your case in an expert way. Just imagine! An immigration consultant has been dealing in immigration cases since a long time. Dealing in the similar kind of cases, makes him fully expert. If the consultant, you have chosen has pursued an education and course in the immigration field, that is an additional asset. He knows all the legal requirements and procedures of processing a visa application in an expert way. A careful patient goes to an expert doctor who can diagnose the disease correctly and prescribes suitable medicines. An expert doctor knows the details of the disease and details of the medicine including its side effects. An intelligent person should not hesitate in paying higher fees to an expert rather than paying lower fees by consulting unqualified doctor. It is not advisable to risk one’s life and health by saving a small amount of money. If your application is not put up in the embassy in an expert way, and it is rejected than getting a visa by putting up an application in the visa office for the second time makes it even more difficult. A minor lapse on your part can bring an end to your dreams. A small mistake may spoil or complicate your case. Of course, it is not the company, which grants Visa to the candidate but it is granted by the Foreign Embassy after a careful review of the application submitted by the candidate to the Foreign Embassy. It is much safer to put such matters in the hands of experts who deal regularly with immigration services and understand their requirements and complications. You get value for your money when you pay the fees to an expert consultant because it saves your much time and effort as well as worry. When the embassy raises objections and clarifications are required, the applicant will find the procedures very complicated. A qualified lawyer is paid fees to argue your case in court and similarly the expert, educated and immigration law qualified consultant handles your dealings with the embassy. A certified consultant is your assurance of quality. Certified consultants are equipped with the latest information on immigration law, procedures and practices and go about their business according to a strict, enforceable Code of Conduct. A certified consultant offers quality professional services and knowledgeable advice on immigration matters of critical importance to the client. For the client, the ICCRC certificate is a guarantee of quality and professionalism. Certified immigration consultants can respond to all of their clients’ needs, while earning their trust. To become certified, consultants must pass a rigorous application process, which requires evidence of good character, and tests knowledge and language skills. The ICCRC certificate confirms that the consultant is an authorized representative recognized by the Federal, Provincial and Territorial Governments. 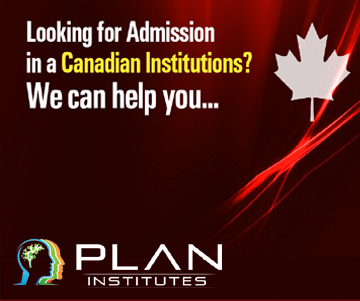 The consultancy has tie-ups with several colleges and universities in different countries and can provide expert guidance in selecting a suitable course according to your academic profile. An official representative can make the process of course selection much smoother for you.